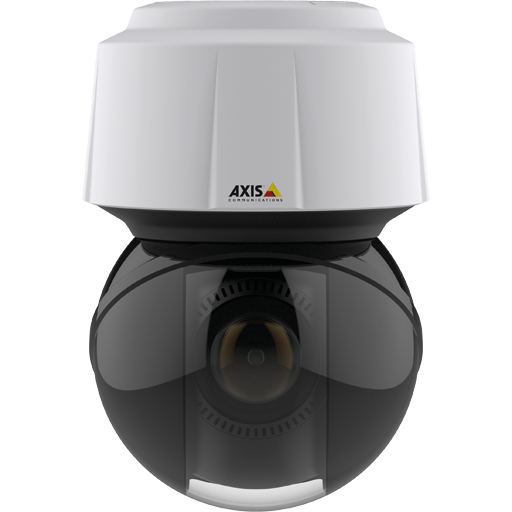 AXIS Q8742-E Network Camera is a positioning camera that brings a powerful – and cost effective – combination of visual and thermal video streams in a single PTZ camera to border surveillance and other applications with similar requirements. 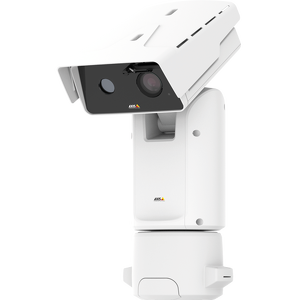 AXIS Q8742-E gives you two excellent cameras in one: a thermal camera with outstanding contrast in 640×480 resolution for reliable detection and verification around-the-clock and in all weather and light conditions. And an exceptionally light-sensitive visual camera in HDTV 1080p with integrated 30x optical zoom for identification purposes. 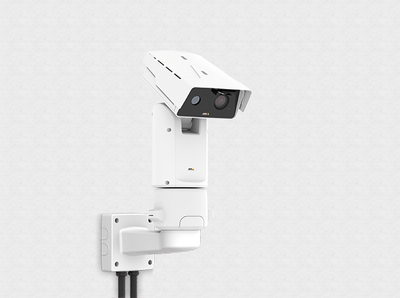 AXIS Q8741-E lets operators choose between really slow or super-fast pan (from 0.05 to 120 degrees per second) and tilt movement (from 0.05 to 65 degrees per second). So, they get smooth and jerk-free panoramic viewing when they need it and can respond quickly to events. 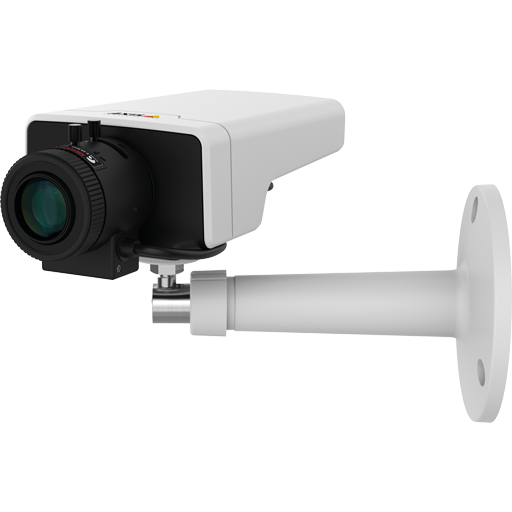 The camera can be column-mounted, on poles or walls for a 360° panoramic view and a ground-to-sky view from -90° to +45°. It can withstand high winds when it’s standing still and winds of up to 37-meter per second (83 mph) when it’s in motion. And an SFP slot means it supports long-distance fiber-optic connection. 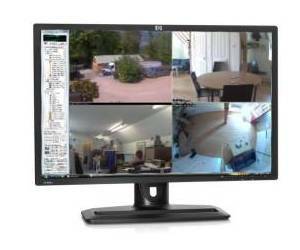 AXIS Q8742-E is a highly cost-effective solution. 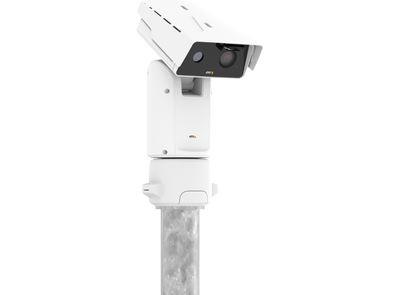 You need just one camera and one IP address to benefit from long-distance thermal detection, visual identification and PTZ capabilities. Which means lower purchase, installation and operational costs. 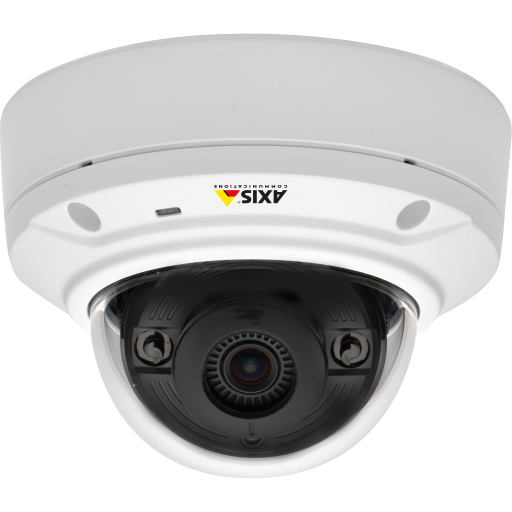 In addition, Axis Zipstream technology reduces storage and bandwidth needs with up to 50% or more while ensuring that important details are captured in full image quality. Its slim design and many available accessories let you install it anywhere you want. 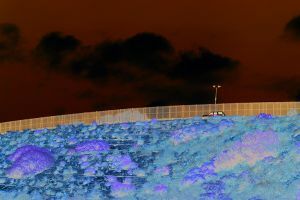 It has an SFP slot, so it supports cost-effective, long-distance fiber-optic connection . And maintenance is made simple by a remote-control cleaning system that features long-life wipers. A 22 meter (72 feet) long, heavy-duty power cable is available as optional accessory. Designed for outdoor use, the cable has 3-wire, 12AWG and a jacket diameter of 10 mm (0.4 in).